Ohio Valley Goodwill Industries strives in an ever-improving mode to be the leader in quality and effectiveness of vocational, educational, social and human services in the State of Ohio. As a member of Goodwill Industries International, we are a part of the world’s largest and most successful network providing employment and training services for people with disabilities and other barriers to employment. Ohio Valley Goodwill Industries was founded in 1916 and is one of the largest providers of rehabilitation services in the State of Ohio. The total number of individuals served in 2013 was 3173 and total placed in community employment was 947. We served 750 Veterans in 2013 and recycled more than 43,001,075 lbs of donated material as well as cardboard, steel and office paper. 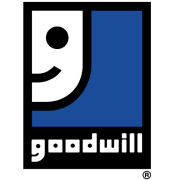 Would you recommend Ohio Valley Goodwill Industries?